USPS Critical Mail An affordable, secure way to send mailpieces. Important Note: The U.S. Postal Service has discontinued the Critical Mail service as of January 17, 2016. Critical Mail lets you mail important documents affordably and securely. Key features of this USPS mail class include free USPS Tracking and cost-effective flat rates regardless of distance. With low prices and the ability to track packages, Critical Mail is a great way to mail gift cards, event tickets or highly-customized direct mail. Use Stamps.com to send Critical Mail and start saving today! Who is eligible for Critical Mail? Critical Mail is available to customers who qualify for Commercial Plus™ pricing. Customers are required to meet an annual volume threshold of 5,000 Critical Mail letters or flats during a calendar year and have a USPS commitment agreement. 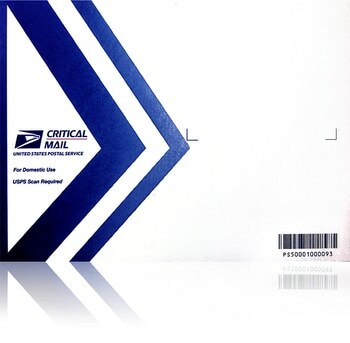 Easily Print Critical Mail Postage: Stamps.com customers can easily print shipping labels for their Critical Mail envelopes. Once the U.S. 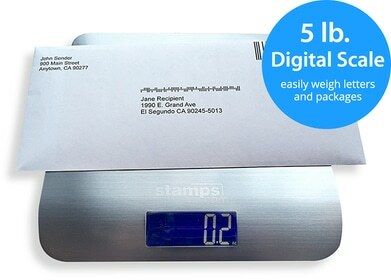 Postal Service has confirmed your annual volume requirements, your Stamps.com account will be automatically set-up to include Critical Mail rates on the Commercial Plus pricing program. And since tracking is included for free with Critical Mail, each label you print will include USPS Tracking and the required Intelligent Mail barcode.